Head for Kuopio and enjoy the most beautiful views of Finnish Lakeland! You can expect a relaxed Savonian atmosphere. You can spend a summer day in Kuopio in many different ways. Like many cities, in Kuopio you get the best sense of local life at the city’s Market Square and in the Market Hall. Also stop by the idyllic Pikku Pietarin Torikuja (Little Peter’s Marketplace Alley). In the log houses, there is a cafe with a terrace and a long row of tiny shops. Puijo, located on the outskirts of town, is a popular recreation area, and the Puijo tower on top of the hill, with splendid lake views, is one of the best-known attractions in the region. It is said that in clear weather you can see as many as 542 islands from the tower. Thanks to its extensive trail network, the area is excellent for jogging. There is also a nine-hole golf course. You can also enjoy the spectacular scenery while paddling or paddle boarding. Paddling and paddle boarding drive away everyday stress and worries. They are suitable for the whole family and do not require previous experience. Go on a summer adventure on the Kallavesi lake, right in front of our hotel. Reserve a paddle boarding package with accommodation. If you like, you can also buy service vouchers for Kuopion seikkailukeskus (Kuopio Adventure Centre) worth EUR 20 for EUR 12 each at our reception. Please note that you can buy a maximum of two extra service vouchers per room. 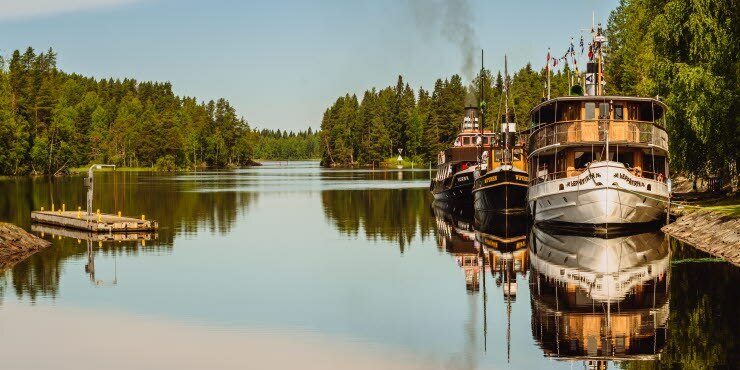 You can also enjoy Kuopio’s summer scenery on an inland water cruise. Several inland water cruises with entertainment and scheduled services depart daily from the harbour (Matkustajasatama). Our hotel in Kuopio is located right by the lake. Kuopio is known for its numerous summer events, the most well known of which is the Kuopio tanssii ja soi cultural event (Kuopio Dance Festival), featuring international dance artists. Other interesting events are the Kuopio Wine Festival, held at the end of June and the Kuopio RockCock festival in late summer. For those interested in culture, there are art and culture exhibitions. In the Old Kuopio Museum, you can find, for example, writer Minna Canth’s study. Kuopion uusi kesäteatteri (Kuopio New Summer Theatre) offers entertainment throughout the summer with its new musical Katri Helena – Laulajatyttö (Singer Girl). Book the summer’s theatre package, including accommodation, tickets and breakfast buffet. Grab a picnic lunch from the market or the Market Hall and head for Väinölänniemi beach. The supervised, gradually sloping Väinölänniemi beach in downtown Kuopio is excellent for children, too. Thanks to numerous cycling routes, you can get to know the city by bike. A good cycling route runs through the city centre, and along it there are beaches and many of the city’s cultural destinations. Our hotels in Kuopio are located in the city centre and by Kallavesi lake.